Meet some of our wonderful team members. 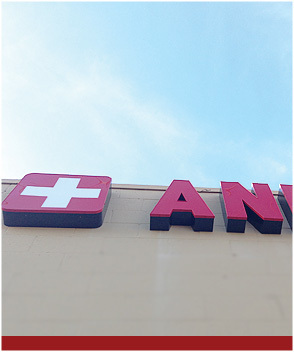 Chris, who grew up in the San Fernando Valley, joined our Culver City family in 2008. 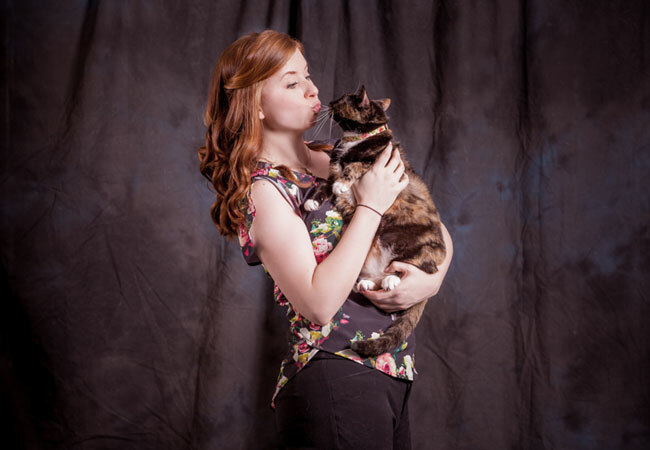 She has always had a fondness for animals, exotic and domestic, with a special place in her heart for felines. As she considered going into animal medicine she searched the help-wanted ads for any mention of “animals.” Finding a job with one of our local primary vets, she learned the ropes of both the medical as well as business side of veterinary medicine. She opted to change majors and in 2013 graduated with Bachelor of Science degrees in Business Administration – Management and Business Administration – Operations and Supply Chain Management. Once one of our dedicated receptionists, she is now a valuable member of our administration team, most recently filling the role as our Data Manager – working on our IT/IS development and maintenance, as well as in our Finance Department. In her spare time she likes to relax with friends and family, listen to country music, and play games – board and computer games alike. She has a special interest in classic cars, specifically Ford, and enjoys the outdoors. She has a Beta fish aquarium with cyclical inhabitants, two turtles – Chicken and Ziv, and two cats – Mondavi and Sarah. Greg, who grew up in Southern California, followed his first dream of becoming a welder by completing his AWS with LA Certification. 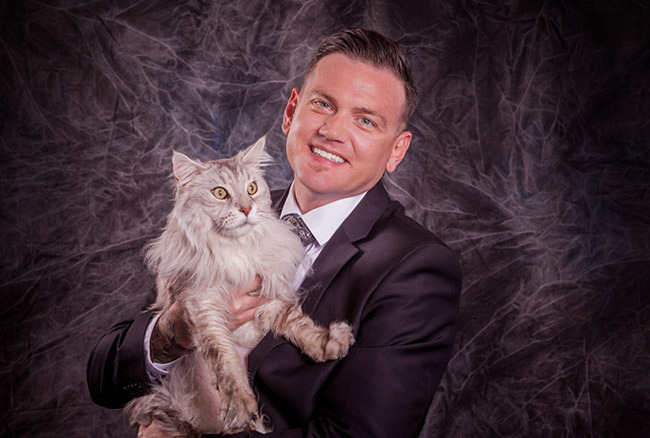 He shortly realized that his love for animals would be his passion and jumped in to developing a career in animal care. Starting his new career as a Kennel Assistant, Greg focused on developing his skills and knowledge in the Emergency field. 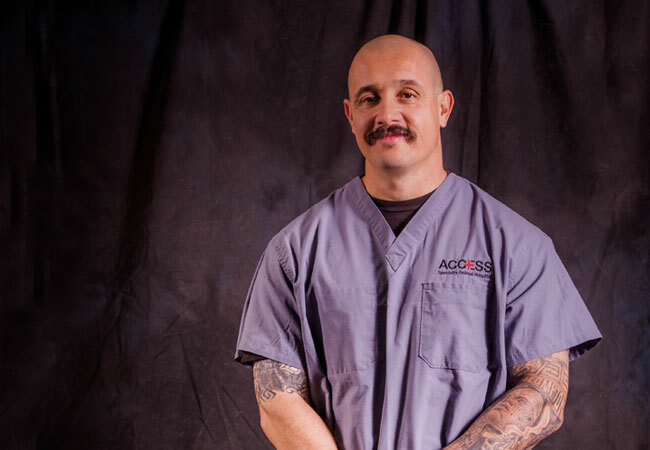 Greg has been with the ACCESS family since 2003, first working in Tustin, California at ACCIM. 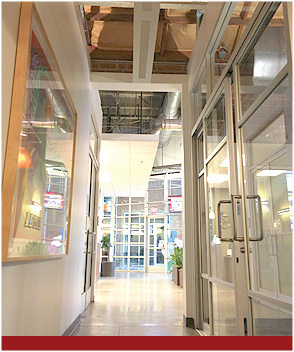 He then helped establish the Los Angeles location, working here from day one in 2005. Bringing all that he has learned in the emergency field both as an animal care attendant and equipment/purchasing manager, he has continued to be a valued asset as we transitioned to ACCESS Specialty Hospital Group and helped make opening ACCESS in Woodland Hills a success. 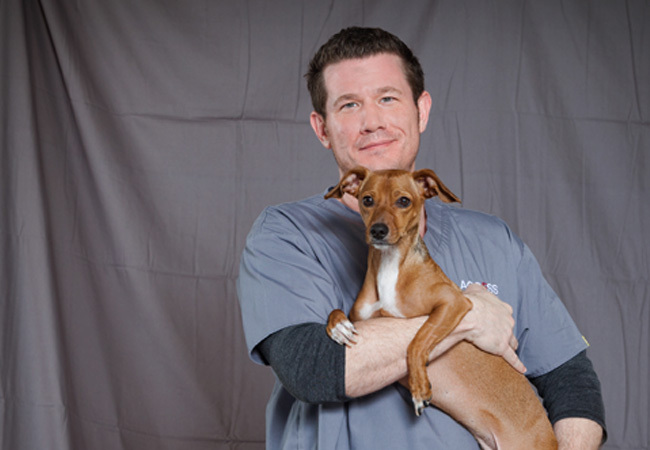 Maintaining strong ties to the veterinary community and dedication to animals, when not at ACCESS-Los Angeles, he can be found working with a mobile orthopedic veterinarian. Greg currently serves as the Technician Supervisor and Purchasing Manager at ACCESS-LA, responsible for the daily management of our veterinary technicians and paraprofessionals in all seven departments of the hospital. He helps ensure we bring quality, integrity, and compassion to all aspects of care for our patients. He also helps purchase and maintain the leading medical equipment and supplies that allow us to meet such highs standards of medical care. Although Greg affords himself very little time away from the veterinary world, he does like to deep sea fish or work on his ’47 Chevy when able. At home his buddies are a French Bulldog and a Cat named Mimi. 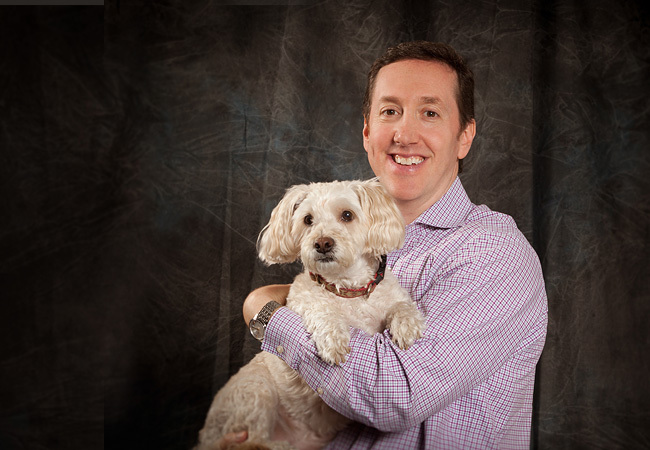 Howard Liberson, has over twenty years of experience in business, finance, law, and accounting. Howard grew up in Chicago and attended UCLA as an undergraduate. He also graduated from Wharton Business School and Loyola Law School. He has two children – a fourteen year old son and twelve year old daughter – and lives in Redondo Beach. Janelle always had a true passion for animals, having grown up saving birds, snakes, and mice in her Massachusetts hometown. As a child, she shared her bedroom with two orphaned turtles and a variety of pocket pets. When she found out that Holyoke Community College offered a veterinary technician program, it was a natural choice for her! Janelle started out with ACCESS at our San Fernando Valley location in April 2015, working with our Internal Medicine department. Since then, she’s helped grow our South Bay hospital and her talent, intelligence, experience, and compassion made the transition from tech to Hospital Manager an obvious one. Jason is a native of New Jersey. Prior to entering into the field of veterinary medicine, he lived in New York City for approximately 12 years where he worked in restaurant management before owning an establishment of his own. Although he has always maintained a great fondness for food and wine, he felt as if he wasn’t following his true passion and so, sold his restaurant after five years. Jason had known for many years that he wanted to work with animals. During a blackout in New York City in the summer of 2004 he had volunteered for the ASPCA in Manhattan’s Upper East Side. Subsequently, it was this experience that changed his life forever. He spent the next six years gaining the knowledge and sharpening his skills as a technician in the area of emergency and critical care and surgery. He developed a profound interest for anesthesia and was eventually promoted to head surgery technician. 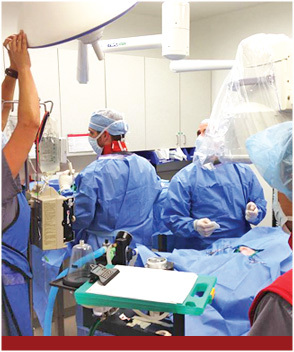 He has logged over 5000 hours administering and monitoring anesthesia during not only elective procedures but with orthopedic and critical cases as well. For the past two years Jason has held the position of Hospital Manager for a large general practice and 24-hour emergency facility in New Jersey. He thoroughly enjoys being part of the client/patient/provider dynamic and is always eager and willing to help his fellow team members facilitate the components necessary for ensuring the highest quality of patient care and client service. Jason is just a few credits shy of earning his bachelor’s degree in business administration and management. His future goals include becoming certified as a practice manager (CVPM) and earning a master’s degree as well. When not working, Jason thoroughly enjoys volunteering his time, classic car culture, engaging in outdoor activities (hiking, running, etc. ), practicing the martial art of kung fu and tai chi, and spending time with his two cats Mimi and Olivia. Jennifer Mederos, a Los Angeles native, joined the ACCESS family in 2010. 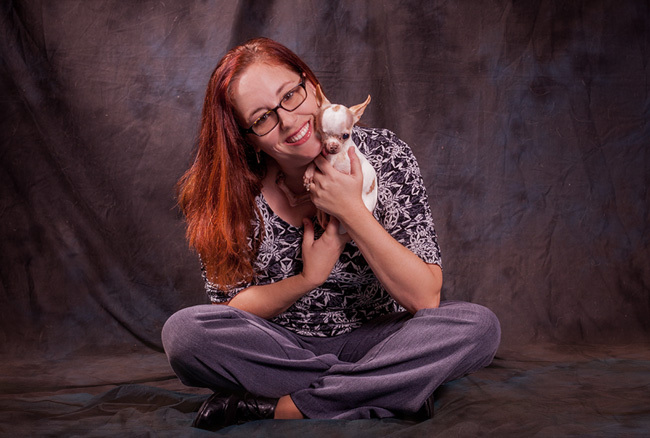 A lifelong animal lover, she cared for a small menagerie of fish, turtles, and dogs growing up, and has been a vegetarian for the last 10 years. Jennifer is currently completing a degree in Psychology. She lives in Palms and is the proud mother of 3 dogs: Brandy, Milo, and Diesel. Jillian is a native of Los Angeles, and wouldn’t have it any other way. Raised in Glendale, she now lives in Culver City and was thrilled to find ACCESS Specialty Animal Hospitals in her own backyard. Before joining ACCESS in December 2014, she graduated from UC Santa Barbara in 2008, and her work experience spans across a variety of business functions including PR, sales, promotions, marketing, event production, and publicity. 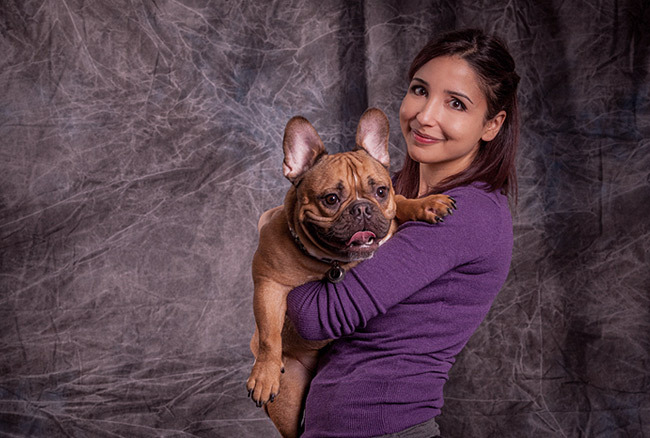 As the Director of Community Relations, she works with primary veterinarians who refer clients and patients to ACCESS Specialty Animal Hospitals in Los Angeles, San Fernando Valley, and Central Valley. 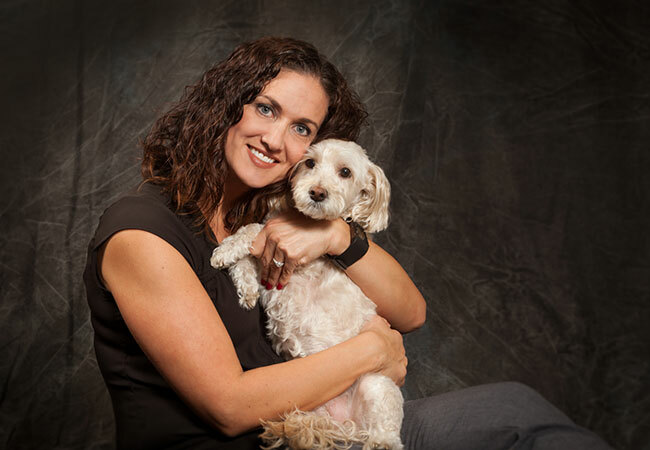 Being a part of the Marketing Department, she also helps with special events and lectures that bring awareness to what a specialty animal hospital can provide. Jillian has had dogs all her life. Growing up with a loveable Rottweiler, and a sassy Chocolate Lab that still lives with her parents, she has fond memories of pet ownership. 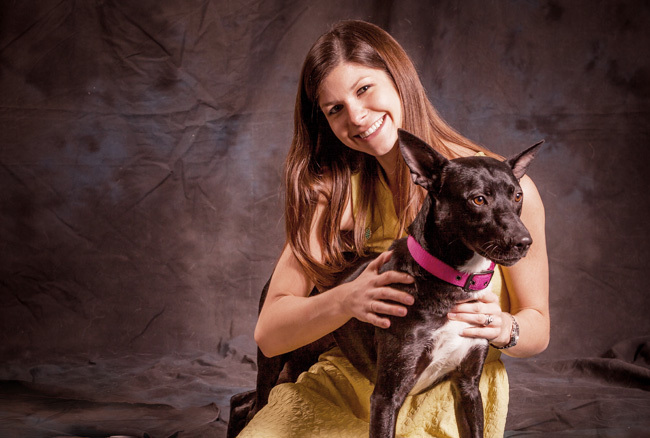 She and her husband Matt recently adopted a young Australian Kelpie mix named Brooklyn who is a bundle of fun and the perfect addition to their home. Joshua joined our team in May of 2014, through a friend’s referral. He quickly excelled and found his home in our Administration team doing what he loves best – helping people! Joshua graduated from Bucks County Community College with a degree in Communications and enjoys being able to put his skills to work each day, working with doctors, staff, and management. Joshua grew up with animals in his home and likes being able to interact with pets and their owners here at ACCESS. Though he loves all animal, pugs are his absolute favorite! In his free time, Joshua can be found at Disneyland, taking in a hit musical, or photographing the world around him. Originally from Houston, this Southern Gent attended—you guessed it— the University of Houston! 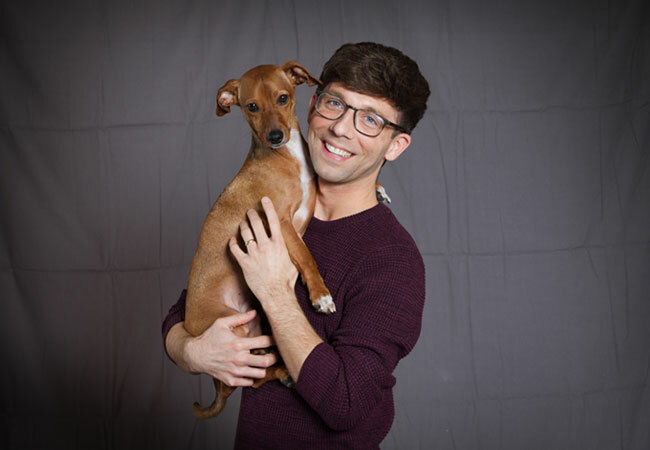 He’s always loved animals and attended a job fair where he found a career as a veterinary assistant. He was able to do some on the job training and eventually earned his Certified Veterinary Assistant certification, or CVA. It’s been all animals, all the time ever since! He moved to California in 2006 and joined our San Fernando Valley team in 2012. The opportunity for a leadership position came, and in late 2017, Lance became the Technician Supervisor and Purchasing Manager for the hospital…though his true claim to fame is holding the title of 1993 Tae Kwon Do State Champion. Leah Basinais was faced with a serious choice at the age of 16. Summer job: a kennel assistant at a vet hospital, or a sales clerk at a surf shop. Tough choice for a teenager, but the furry friends won out, setting the stage for what would be a career revolving around veterinary medicine. With a bachelor’s degree in biology from a tiny college in Milton, Massachusetts and a prestigious internship at the Tumor Genetics Lab in Massachusetts General Hospital under her belt, Leah returned from Boston to get married and set up a life back in Los Angeles. After a brief stint in a PhD program at UCLA in microbiology, Leah decided she was better with people than she was with nematodes. Returning to her comfortable home as a veterinary receptionist, she rose to become a manager of a small general practice in Sherman Oaks, CA. In 2001, Leah moved to become a Hospital Administrator of a large multi-specialty hospital in Ventura, CA, where she furthered her education by completing a Master’s degree in Business Administration with a specialized certification in Health Care Management. She was the President of the Veterinary Specialty Practice Alliance (VSPA) and has lectured internationally. 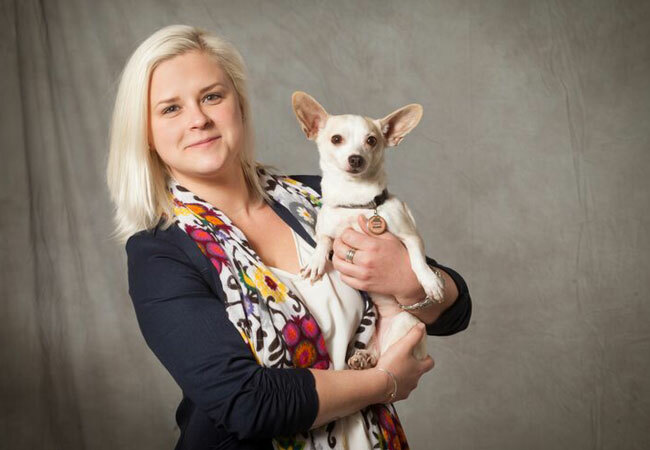 Shannon joined ACCESS Specialty Animal Hospitals in May 2013, where she excelled as a Client Care Coordinator and soon began working part-time as a Doctor’s Assistant. As a passionate, organized, and dedicated team member, she made a speedy transition to our Marketing Department. As Director of Internal Marketing, she’s able to put her creative mind to work, creating copy for our advertisements and blogs, photographing happenings around the hospital, planning events, producing videos and online content, and more! She is certified in Inbound Marketing through HubSpot and Google AdWords. Shannon, who is from a town just outside of Philadelphia, studied Early Childhood Education prior to working as a Pre-K teacher, where her compassionate nature shined. Her understanding and attentive disposition expanded beyond the classroom and crossed over to animals as she volunteered with animal shelters and rescues both back home in Pennsylvania and here in California. Over the years, her family had Great Danes, cats (including a polydactyl), a Chow, and a Lab-Pit mix. She currently has two cats of her own, Larry David, and Sophie, who is asthmatic. 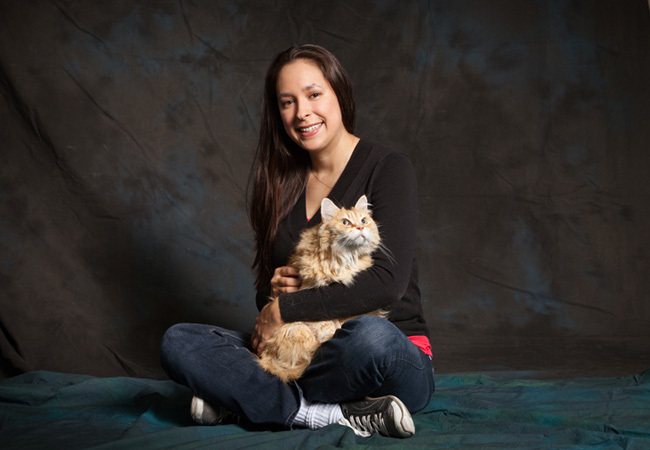 Trisha is a Ventura County native and joined us at our San Fernando Valley hospital in May of 2015 after working at another multi-specialty veterinary hospital in Ventura. Trisha has special training in management as well as customer service and conflict resolution. She loves being able to work in a hospital with opportunities for growth as well as a team that feels more like a family. Outside of the hospital, Trisha enjoys spending time with her husband, three kids and her rescue dog, Kassie; and of course-hanging by the pool!